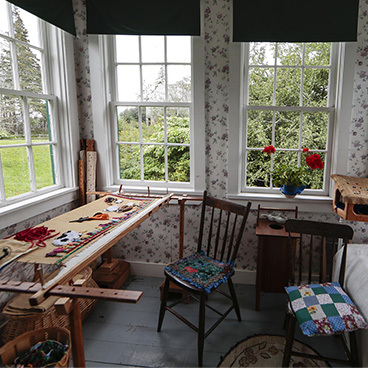 From the crackle of wood burning in the cook stove, to the smell of the saltwater breeze, come experience the warmth and welcome of Nova Scotia’s Eastern Shore in a traditional fishing family’s home. Located only 40 minutes east of metro Halifax, this simple wooden house once belonged to Ervine Myers, his wife Ethelda and their 13 daughters. Like many other families who resided along Nova Scotia’s shores in the early 1900s, the Myers’ made their living off both the land and sea; fishing throughout the summer and working the woods in the winter. 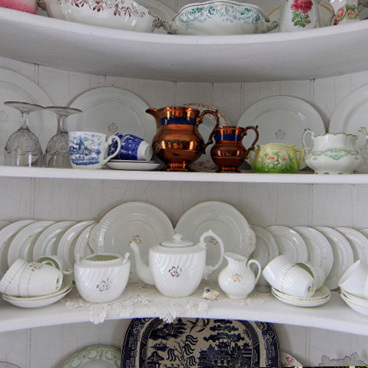 Come visit this charming home and discover just how extraordinary ordinary life used to be. This area is also brimming with history. Sherbrooke Village lets you step back in time to a 1860s lumbering and shipbuilding community, and museums at Goldboro and Goldenville bring to life the history of gold mining in Nova Scotia.